Island living is pretty sweet so far. 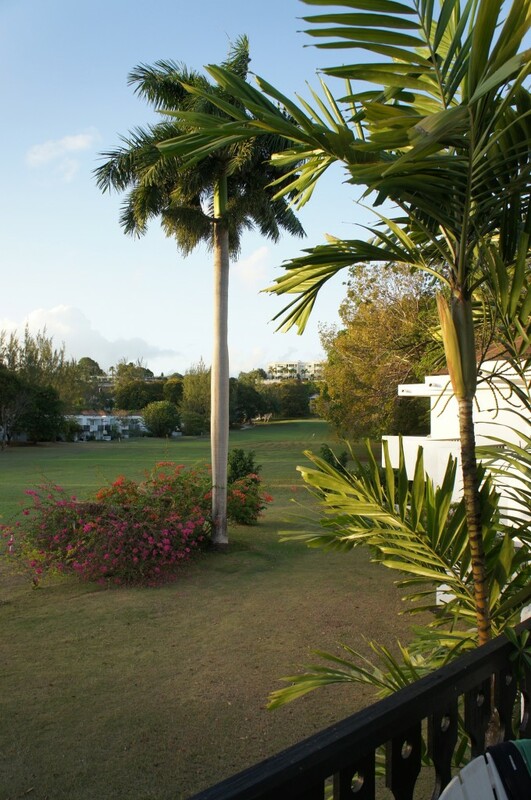 We arrived in Barbados on Tuesday afternoon, and we are staying in a little studio apartment on Rockley Golf Course, and are about a 10-minute walk to the closest beach. We’ve been getting up at 7:30am each morning, going for a jog, and swimming in the ocean – the water here is the perfect colour of turquoise, and the sand has a pink hue to it – beauty. One of the first things we did on Tuesday was head to “Big B” grocery store to get some essentials. Checking out the grocery store is always a bit overwhelming when you first arrive in a new place – especially when you’re staying for 2 months. What kind of selection will they have? How much will things cost? 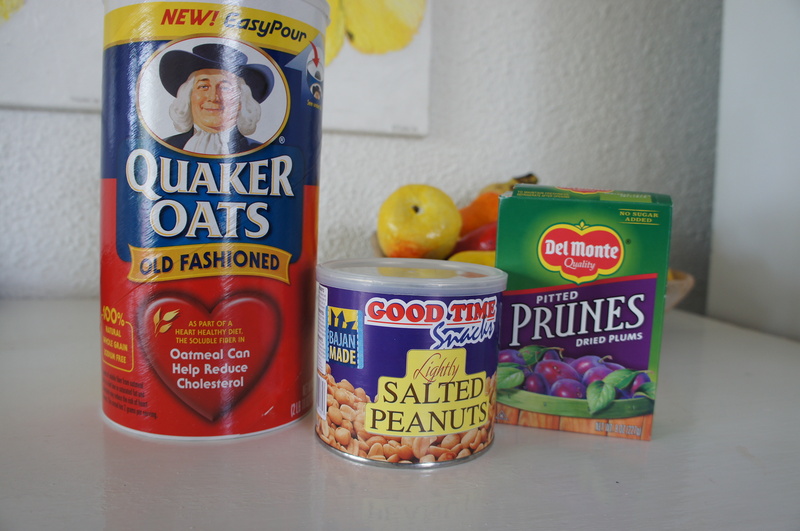 The selection was really good, but the prices are quite high, especially for imported foods. I’m going to have to start researching Bajan ingredients & recipes asap. 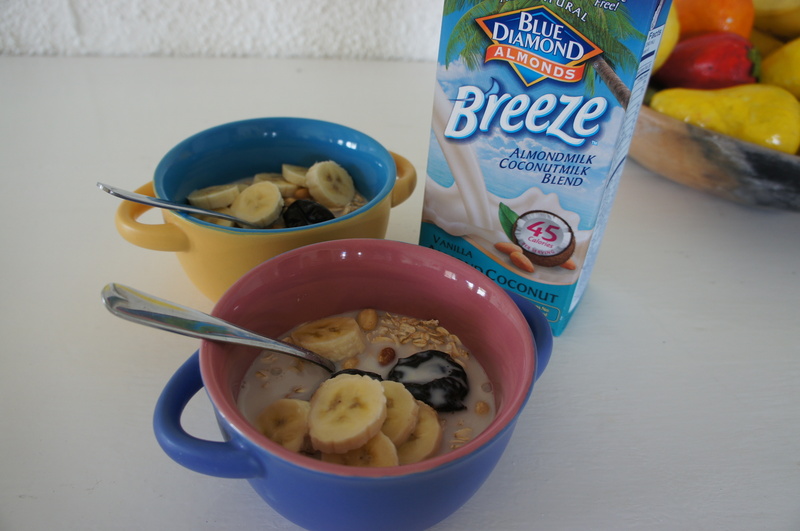 I managed to find ingredients to make home-made cereal (old-fashioned oats, unsweetened coconut, prunes, lightly salted peanuts & local bananas), and came across a new flavor of Almond Milk: unsweetened vanilla coconut! 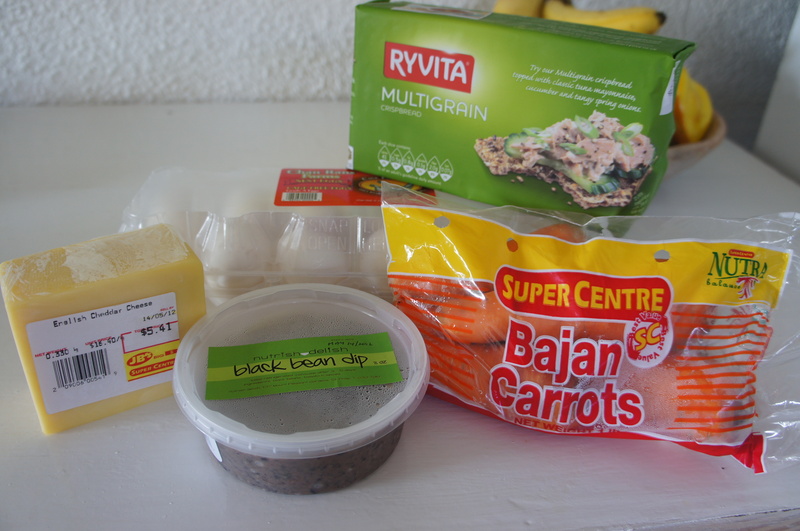 We also bought a few simple ingredients for lunch: Ryvita whole grain crackers, cheddar cheese, cage-free eggs, black bean hummus & local carrots. 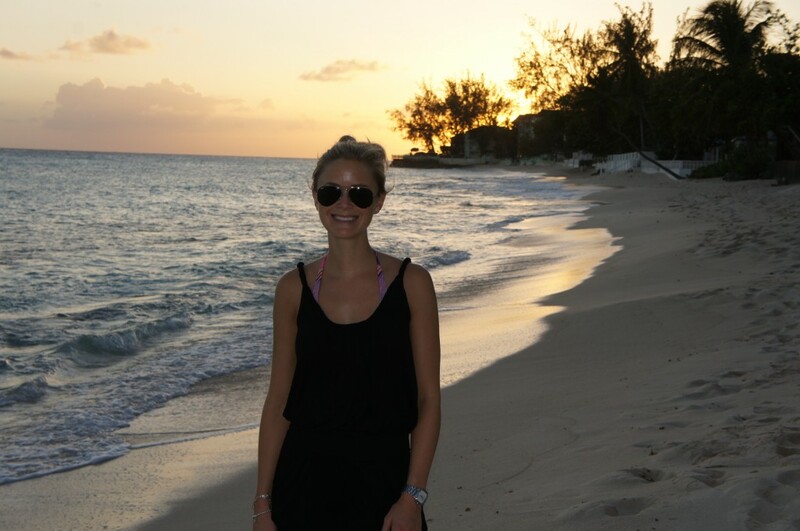 For dinner on our first night we went to Carib – a beach bar & restaurant that is right on Worthing beach. 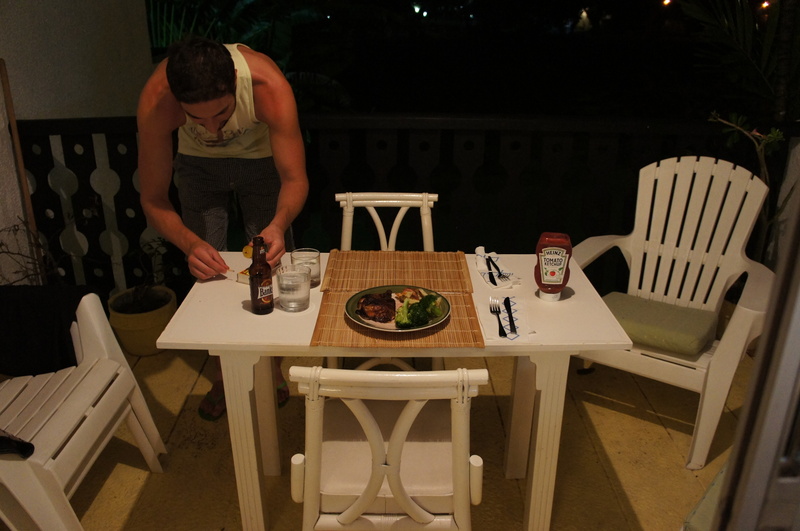 We dined el fresco with palm trees all around, and the sound of tree frogs & waves in the background. We ordered local cuisine: flying fish & mahi mahi and of course a couple ice cold Banks (their local beer). Yesterday I organized our tiny kitchen so I could get a better sense of what I’m working with, and cooked our first meal. We bought a pre-roasted jerk chicken and made some sweet potato fries & steamed broccoli as sides. I’m keeping it simple so far, but I’m looking forward to cooking with some local ingredients. Curry, chicken, fish, & root vegetables are popular ingredients to cook with in Barbados – I can work with that. Dining el fresco on our balcony! To finish our day we walked to the beach, and enjoyed the sunset – I can get used to this. Tonight we’re heading to Bert’s Bar to watch the Sens game – Go Sens Go!! Hi Lauren, I love your website! You have fantastic ideas for eating healthy. Ive made your Cherry Tomato Pasta several times and we love it. Im enjoying your travel journals as well. Thank you for your comment, and the positive feedback – it’s always nice to hear! So glad you enjoy the pasta – it’s a staple in our house…something about the flavour of the roasted tomatoes with the chilli flakes. That sounds like a great suggestion – I haven’t heard about that place yet, we will have to check it out. I love the idea of fresh lobster flown in daily. I think we’re heading to Oistens tonight for their weekly fish fry, and I’ll take some pics for the blog. Have a great weekend! Looks so cozy Lauren, we’re happy to see you settling in!